The Fairmont Empress Hotel is the majestic backdrop for a gathering of Model A Fords. 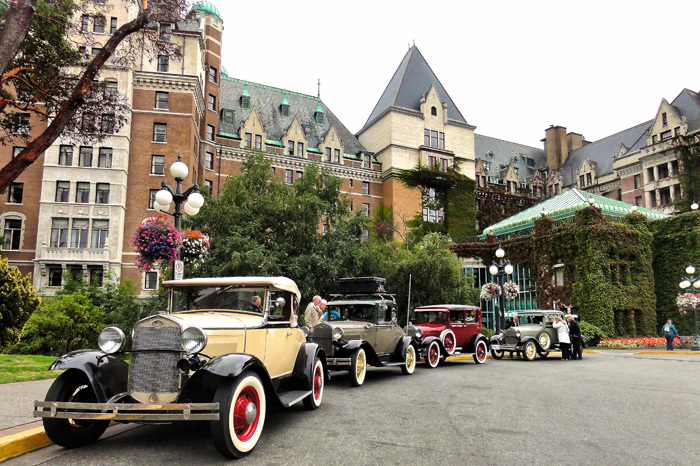 Classic beauty of restored late 1920’s motor cars meets the classic beauty of Vancouver Island – Victoria’s most celebrated landmark hotel located on the Inner Harbor since 1908. Impression of classics meeting classic – cars and hotel fully restored art forms – beautiful and elegant. One of a set of two.